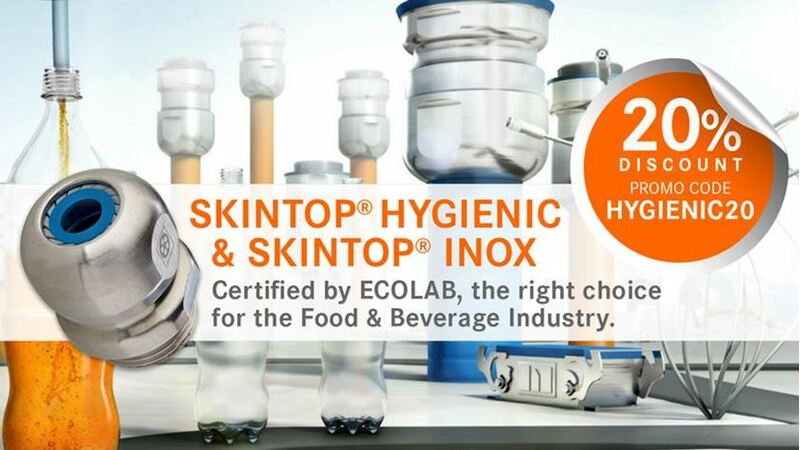 Hygiene takes top priority when it comes to processing food and beverages. 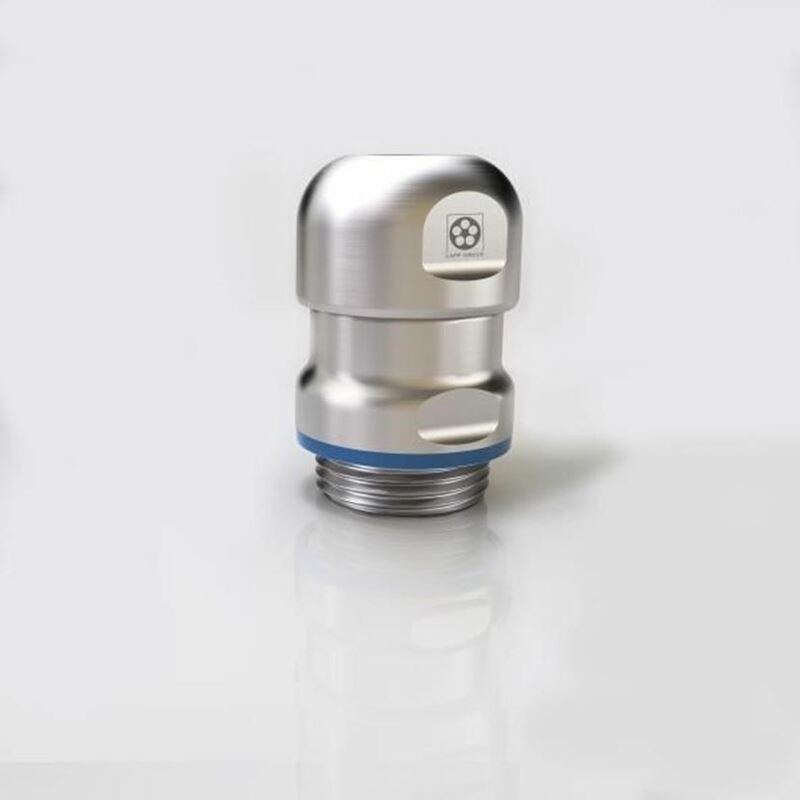 Production facilities should therefore be designed according to the principles of Hygienic Design. 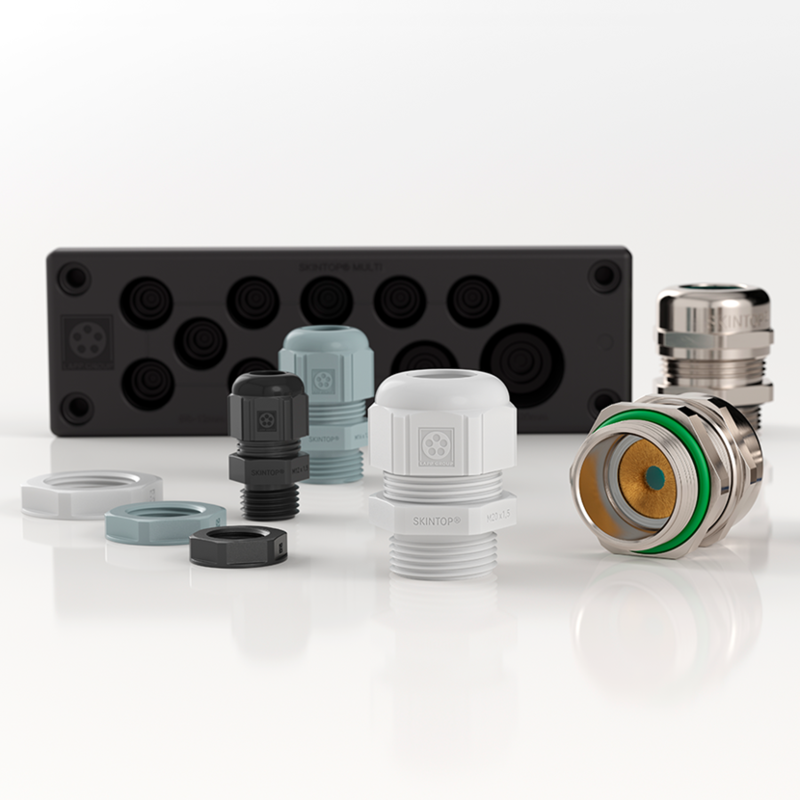 That means cables, connectors and housing bushings also play an important role. 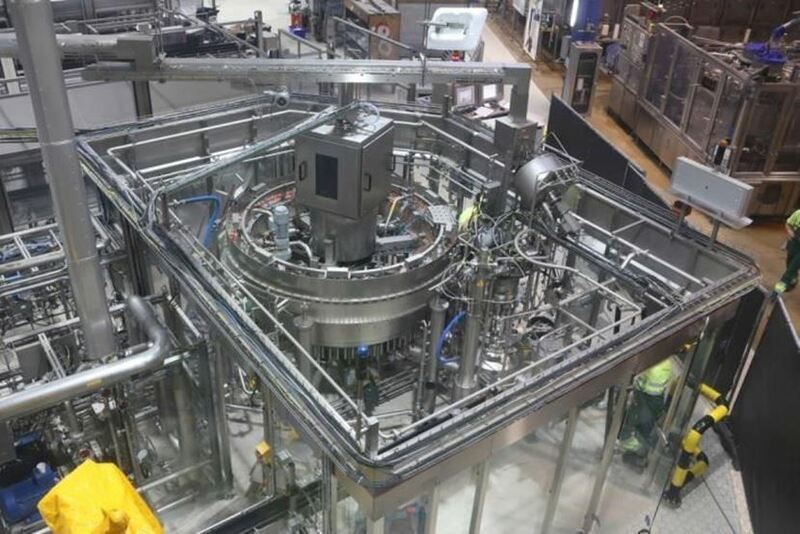 When it comes to food and beverage technology, there are few industries which are so multifaceted and demanding in terms of the requirements they impose on their operating conditions. The high standards applied to Hygienic Design are also placed on the electric components, so the requirements specification for cables and accessories is diverse. They must be resistant to a whole host of chemical, thermal and physical stresses so that they can be used in refrigerated areas and damp environments and still fulfil their function reliably. In addition, they must be resistant to aggressive industrial acidic and alkali cleaning agents which are commonly used during cleaning processes. 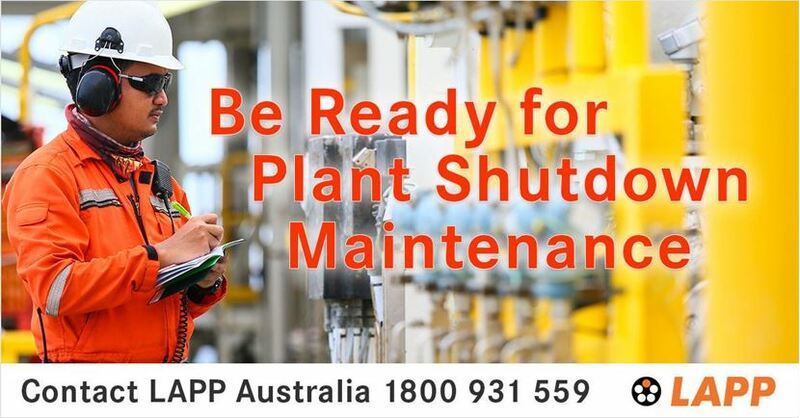 Specific products with tailored features must be factored in to guarantee secure processing and minimum downtime through increased maintenance and service intervals. When it comes to food and beverage applications, hygiene is key. 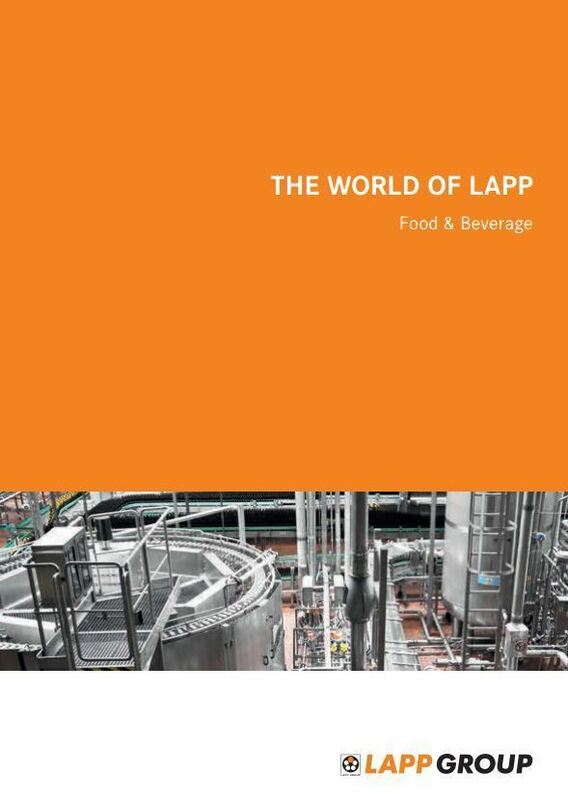 LAPP offers a full range of cables, connectors and cable glands that cater for the complex requirements of the food and beverage industry.